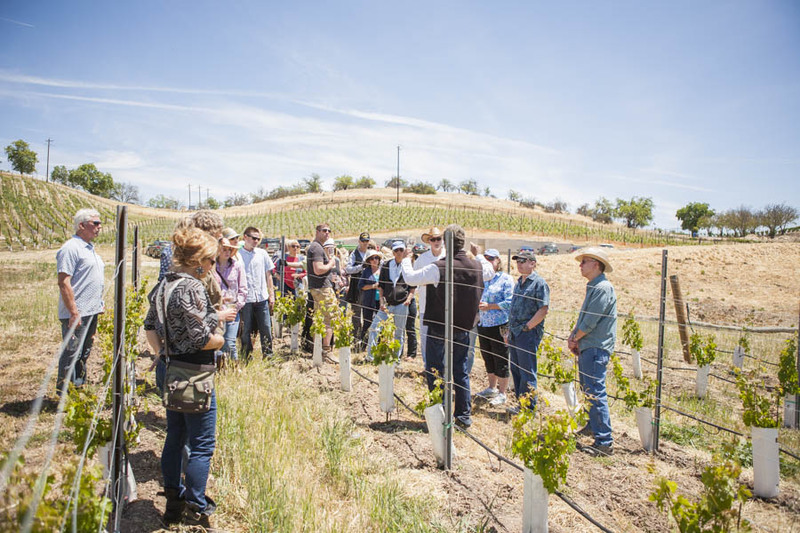 This past weekend, during Paso Wine Fest, we invited our club members to join us at our picturesque Adelaida Vineyard. 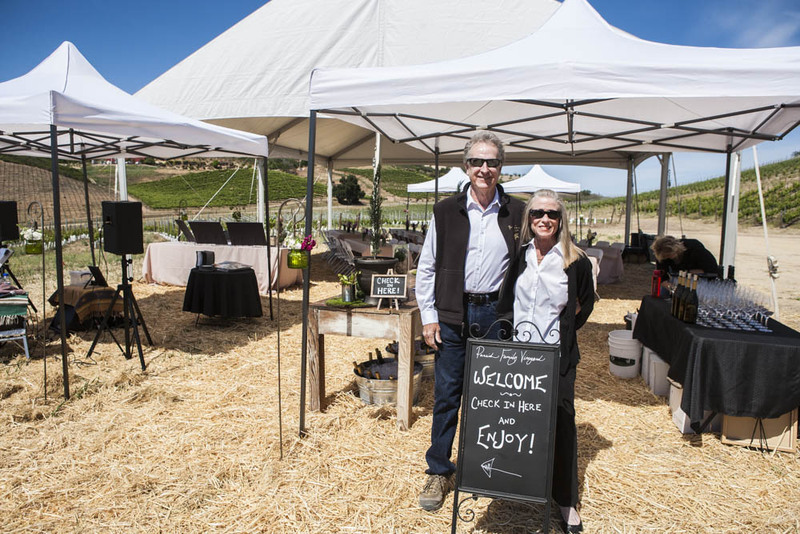 It was a wonderful time of sharing two new wines and our future home for Parrish Family Vineyard! First about the wines! 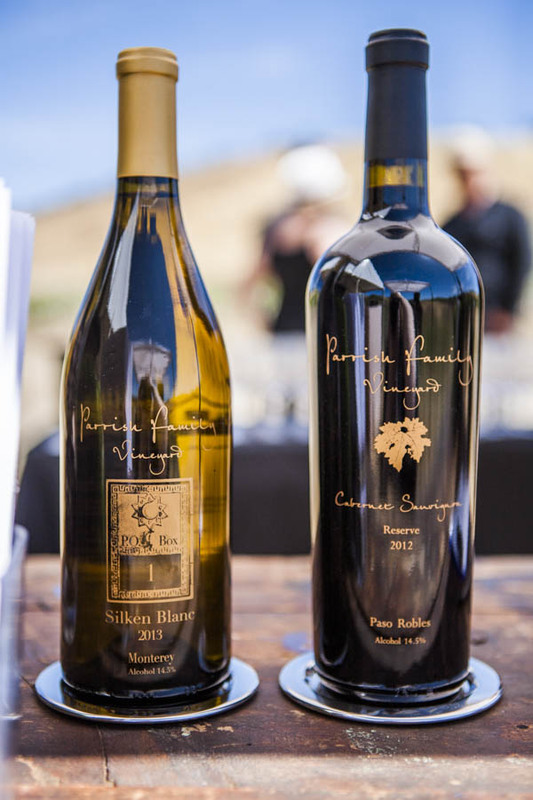 The wines we released to our wine club was our 2013 Silken Blanc and 2012 Reserve Cabernet Sauvignon. The 2013 Silken Blanc is our first white blend of 85% Chardonnay and 15% Viognier. It’s a delicious summer wine that welcomes you with an orange blossom nose and a jasmine, fresh citrus palate with a hint of cream and spice. This wine will be available in the tasting room starting Thursday, May 21st! The 2012 Reserve Cabernet Sauvignon is probably better than our beloved, gold winning 2010 Reserve Cabernet Sauvignon, which is, of course, fine to have happen! It has a rich body with great structure of blue and black fruit such as blackberry, blueberry, and cassis. It was aged in new and neutral oak for 22 months…giving it plenty of time to develop its full-bodied character. This wine, while newer, is only going to get better with age. The wines accented the beautiful day and of course, the vineyard, which our club got to explore with a walking tour. 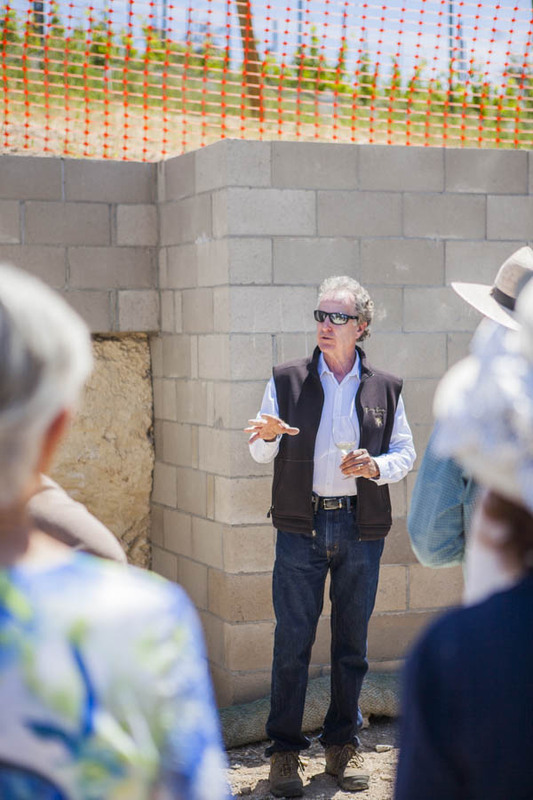 My dad, David, began the tour with showing them the calcareous wall that will be a great highlight of our tasting room experience. For those not familiar with calcareous soil, it is from fossil shell beds. 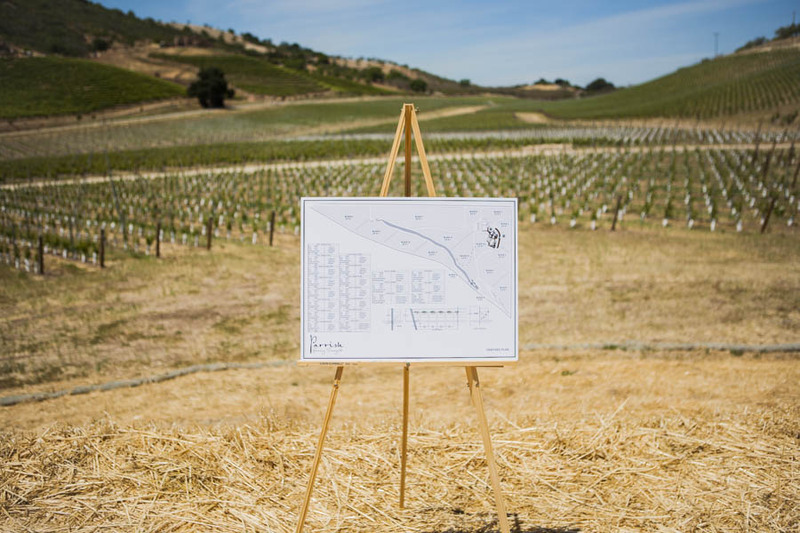 It becomes gold for vineyards when mixed with a top layer of clay. 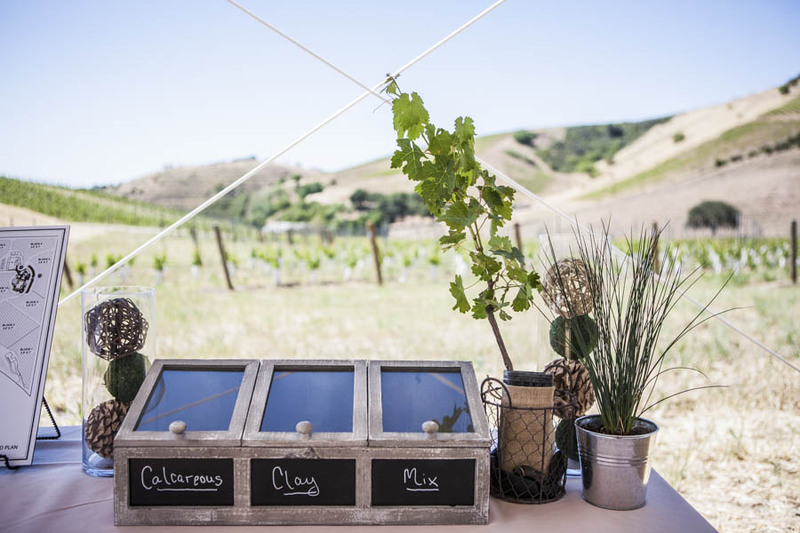 That is why you will frequently hear about calcareous from wineries because it is what makes vines flourish and fabulous future wines. 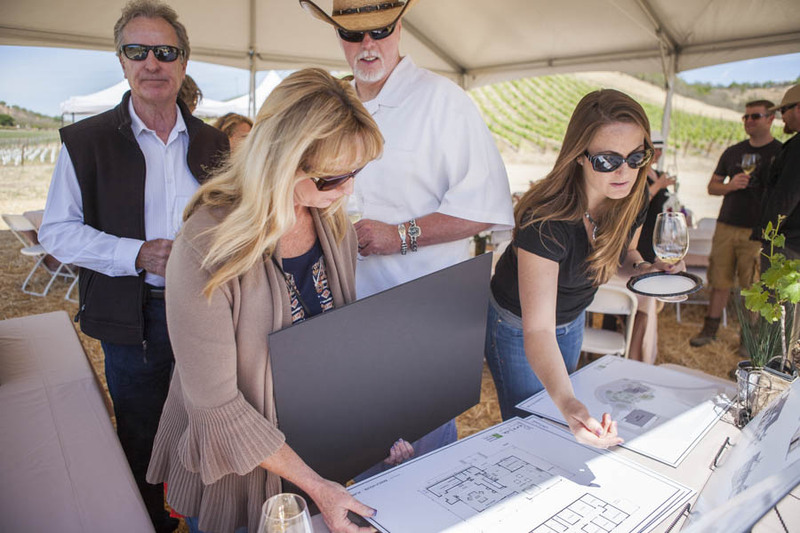 Our club members were shown the view of the future tasting room and the blocks of the vineyard. The Adelaida vineyard is made up of 7 varieties, mainly Bordeaux grapes, that will become our Estate Wines. The Bordeaux varieties are Cabernet Sauvignon, Cabernet Franc, Malbec, Petit Verdot, Sauvginon Blanc. There is also a small amount of Zinfandel and Syrah. We are of course thrilled to be adding such fantastic varietals to our wine portfolio! The show and tell continued with our talented architect, Shana Reiss, being present. 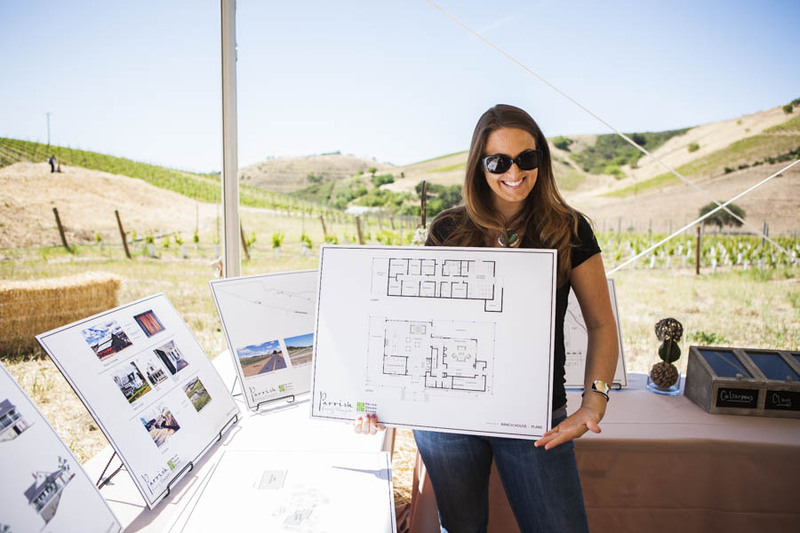 She shared with our members through out the event about the vision for the future winery and tasting room. We are so thankful to have Shana apart of our team and for all her hard work she has done in the last couple years. 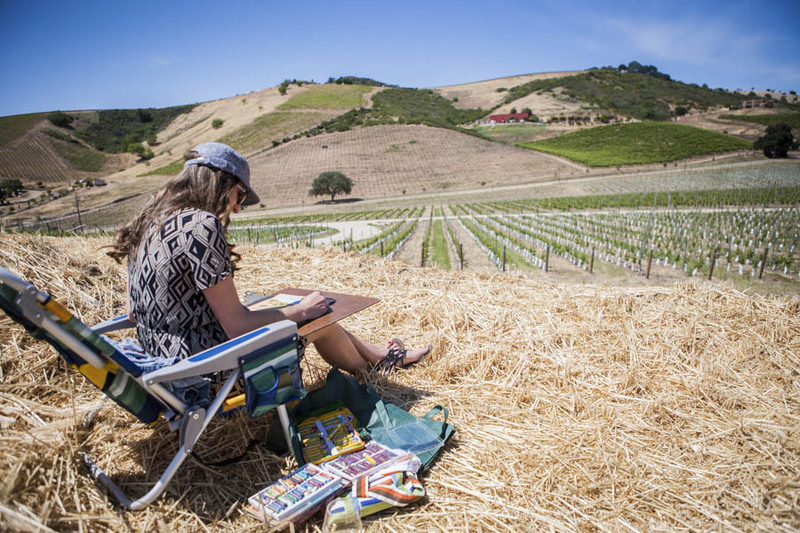 Shana’s sister, Michelle, even joined us for a while and worked on pastel landscapes of the vineyard! While we all enjoyed the education of the event, we also enjoyed the company, live music (with a little impromptu karaoke) with Richard Villanueva, delicious food, and great wine! Thank you to our club members who came to visit us on Saturday. We look forward to many more occasions to celebrate with you! Also, a big thank you to Richard & Theres Villanueva, Next Door Bistro, Wandering Cookie, All About Events, and our staff Cyndi, Noni, Adrielle, Shannon, Ben and our club member Diane who worked to make the event perfect! Cabs of Distinction Winemaker Dinner: The Menu! 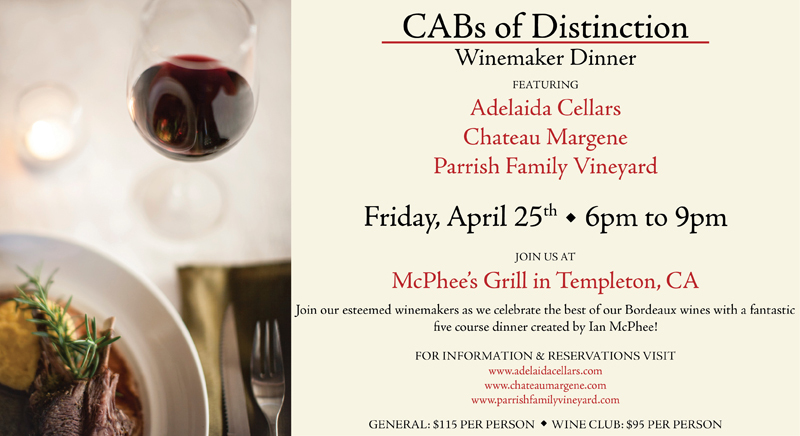 There is going to be a wonderful winemaker dinner on Friday, April 25th from 6-9pm that features Adelaida Cellars, Chateau Margene, and Parrish Family Vineyard! The dinner is at McPhee’s Grill in Templeton. Chef Ian McPhee has created a wonderful menu to pair with our wines! This is a CABs of Distinction event that happens the night before the Gala, which is April 26th! 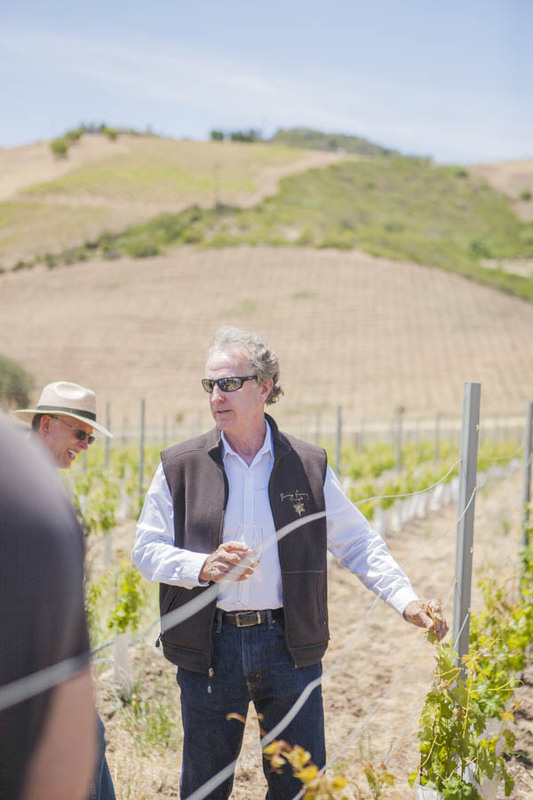 So, the dinner will be a great way to connect with the winemakers and their wines…as well as enjoy some delectable courses with the wines! Tickets: $115 per person / Wine Club Tickets: $95 per person. Check out our website to buy the tickets online or feel free to contact info@parrishfamilyvineyard.com! 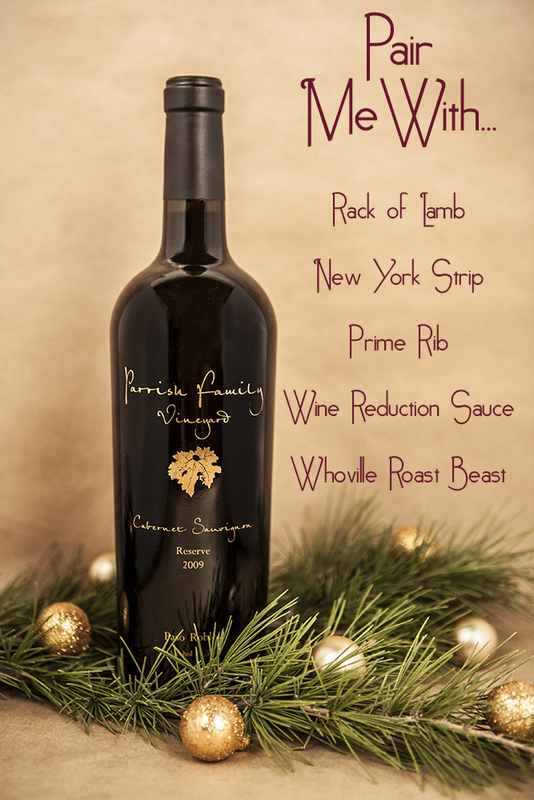 Wine club members can log into the site to automatically receive their discounts, but feel free to contact club@parrishfamilyvineyard.com with questions! We will start highlighting different parts of the upcoming CABs of Distinction Gala on April 26th! We are very excited for this year’s event and feel that it will be…fantastic as we showcase some of Paso’s best Bordeaux wines and Cabs. 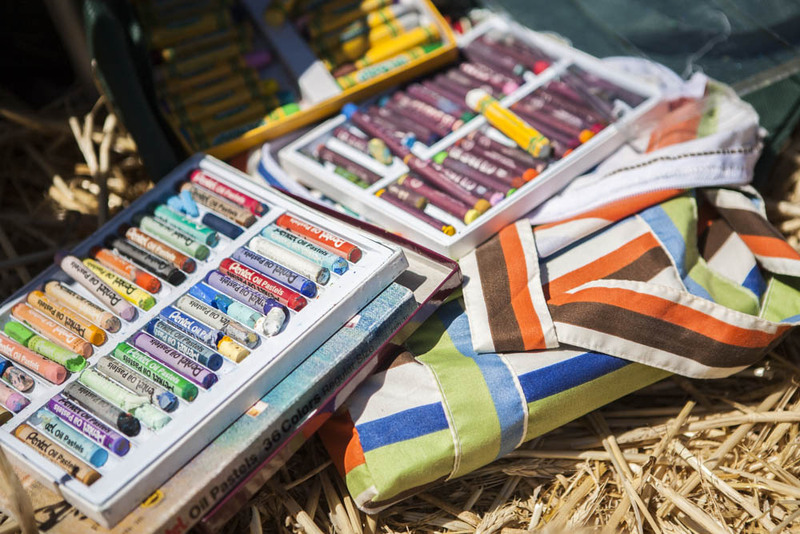 Today’s highlight is that there will be a Luxury VIP ticket with access to an exclusive four course luncheon that will feature the creative, delectable cuisine of Chef Julie Simone of Thomas Hill Organics. My goodness…that sounds ridiculously good. Lunch is too far away. Hungry for more? Check out the Cab Collective’s website at www.pasoroblescab.com for more information and to purchase tickets! Cabs of Distinction Gala: Saturday, April 26th! Grand Tasting: Includes tastings of CabCollective member wines paired with artisan cheese and charcuterie chosen by Fromager Zina Miakinkova. 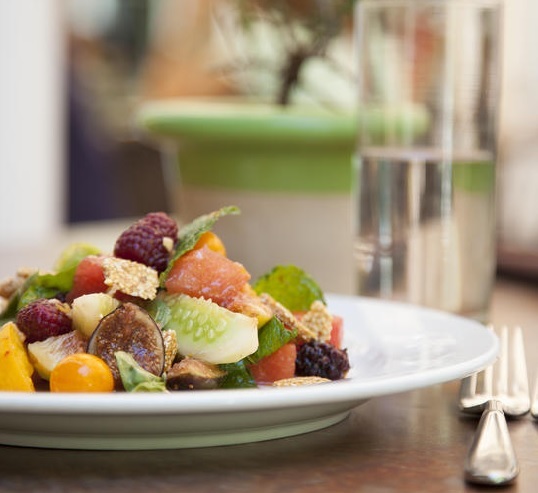 Decadent catered lunches will be provided by notable restaurants and caterers, such as Robert’s, Crush Catering, and Avant-Garde Experience, in the CAB Bistro. 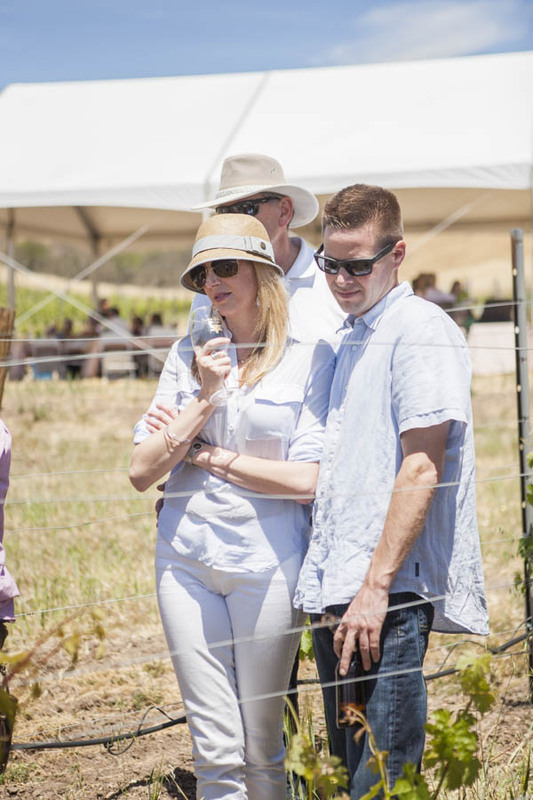 Luxury VIP: Includes an exclusive panel discussion before the Grand Tasting, a multi-course gourmet lunch provided by Thomas Hill Organics, and access to the VIP Lounge where desserts and drinks will be available through out the day. Premium-Reserve VIP: This includes all the wonderful features of the Luxury VIP, but Premium-Reserve guests receive Early Access tasting. If you want more information or tickets, feel free to check out the CABCollective website. Wine Club members receive a 20% discount, on tickets. Please contact club@parrishfamilyvineyard.com if you need the code! We hope everyone is having a splendid 2014 so far! 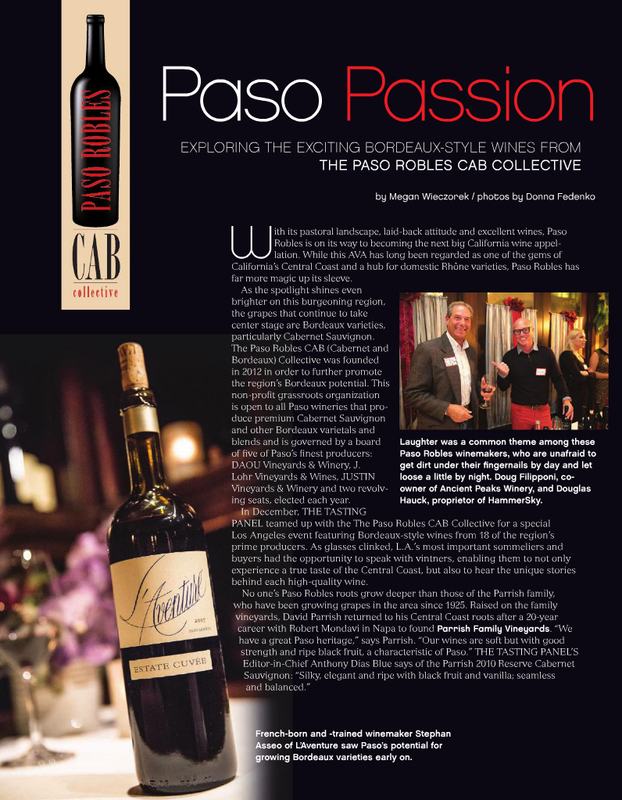 In December, the CAB Collective, which we are apart of, did a special tasting with media and trade in West Hollywood. 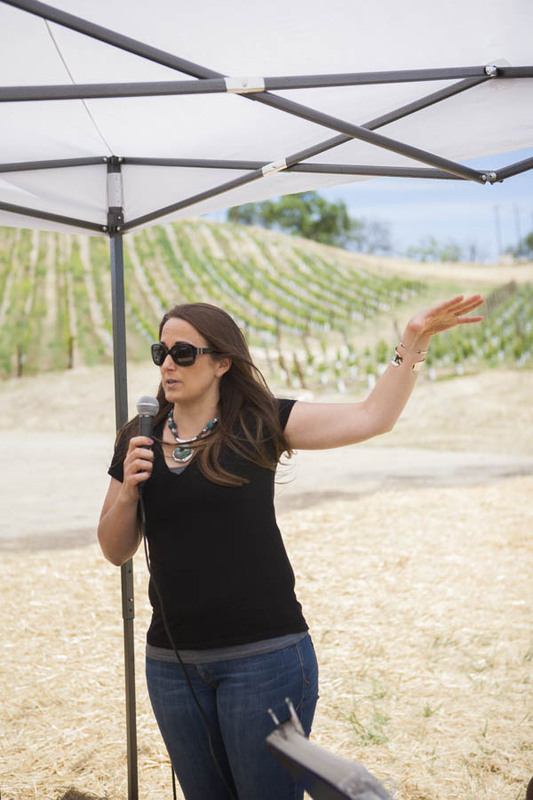 It was a wonderful night to spotlight the abilities of Paso Robles. At the event, Tasting Panel Magazine attended and did a great article about it in their 2014 January issue. We are pleased to see that the wines were so well received! We are thrilled to get another notice of our 2010 Cab as it truly is a wine we are proud of. 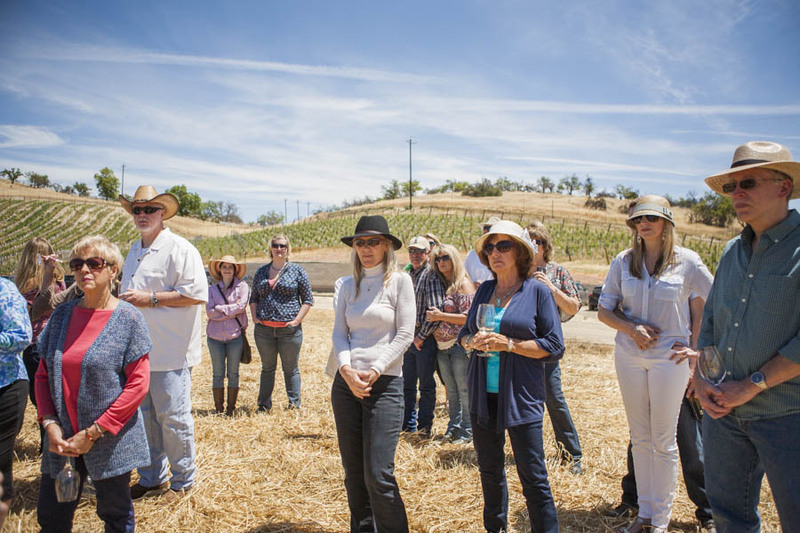 Thank you to all the media and trade for coming to the event and giving Paso Robles the opportunity to show that we are serious about winemaking…especially when it comes CAB. Keeping with the spirit of Bordeaux wines today, I thought it was time to talk about the food that pairs best with the big, the bold…Cabernet Sauvignon. A wine that can hold its own and be well known by three letters, CAB, is saying something. It is definitely our pride and joy. Cabernet Sauvignon is really a perfect addition to a Christmas celebration with your loved ones. Whether it is smooth, fruit forward, and medium in body, or it is big, peppery, and full of richness, this is a wine that can go with many classic Christmas dishes. An added bonus is that its red color keeps you festive! A classic holiday dish and one of my favorites is Prime Rib. When I graduated from AAU, I celebrated that evening with my family at The House of Prime Rib and what did we have with our meal? Cabernet. The creamy, richness of the meat creates wonderful harmony with the black fruit notes as well as the pepper in the wine. It’s heavenly delicious. Another great cut of beef to pair with a Cab is a New York Strip. New York Strips are flavorful and peppery and would go well with a more medium bodied Cab as your palate wouldn’t become over powered by too much boldness. It would allow for the fruit to merry with the natural flavors of the cut. Honestly, any cut of beef would go well with a Cab and I feel almost silly writing that, but hey, some of our readers may just beginning their wine ventures. Another red meat that says classic Christmas dinner is Lamb. I called my mom yesterday to discuss the Christmas dinner game plan and she shared that she had already gotten lamb. I was excited because I love lamb and well, it means Cab. A beautiful herb crusted rack of lamb would be perfect with just about any Cabernet. The herbs, the rich lamb flavors, and the slight pepper compliment this red. On Pinterest, I found a recipe for Pesto Crusted Lamb…this would be a fun twist. The awesome thing about Cabernet is that it can be used in dishes. It’s a great wine to reduce into a sauce to pour over delightful red meats. It’s not too difficult to do and it can take a dish like, filet mignon, to another level of rich flavor profiles that will cause a good silence around the dinner table. Butter, wine, and herbs will never do you wrong…well, except if used excessively. Lastly, if you live in Whoville, I’m sure a lovely Roast Beast will be complimented by the Cab. It’s something that even the Grinch can get on board with. Below is a list of our Cabernets and what they would work best with based on their individual personalities. We wish everyone a very Merry Christmas! Cheers to you and your loved ones…may it be full of warm memories!